Day 3: I’m thankful for my wife, Wendy. She has stood beside me for 20+ years doing what the Lord has called us to do! Day 2: I’m thankful for the Holy Ghost – a true comfort, guide and helper! 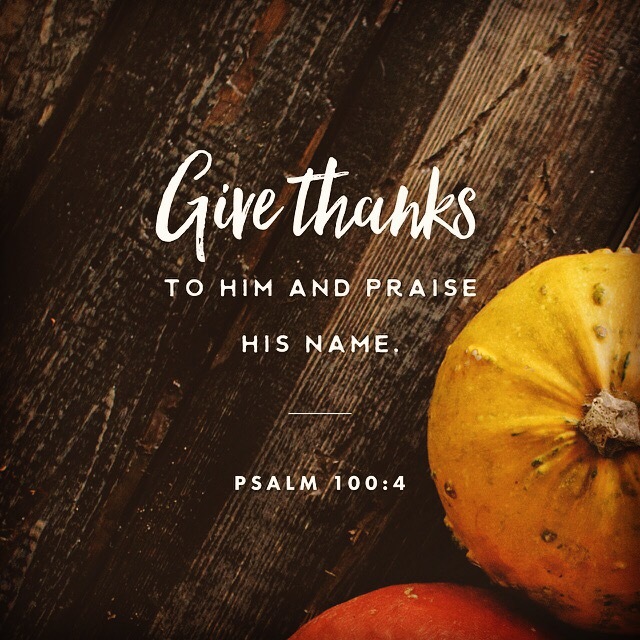 Day 1: I’m thankful for my Lord and Savior, Jesus Christ! As we approach Thanksgiving 2016 I’m reminded that we should not take anything for granted. Time does not stop – nor does it slow down. This Thanksgiving season I have so much to be thankful for! As we approach Thanksgiving 2014, I’ve been reminded of how blessed I am! Well, you get the point, I’m blessed! With all that said, I have also been reminded of the hurt that some folks are going through this Thanksgiving season! Tonight my heart is heavy – some folks are facing things that are hard to even imagine! I trust that God will have His way in each situation! Last night, I was planning to preach/teach on the Dynamics of Christ Love. During the praise and worship portion of the service, the Spirit of God decided to take the service in a different direction. When I begin to think about the love that Christ has for mankind I’m overwhelmed! Who am I that He would love me! I had to run some church errands today so I decided to take the church van. While at a traffic light, I noticed the driver of the vehicle beside me trying to get my attention. Needless to say, the gentleman just moved to Ocoee from New York, where he attended the Church of God and is looking for a new church home in our area! I’m trusting that I will see him this weekend in service!